DJ Levins presents round 2 of a bombardment of 90s dance anthems! 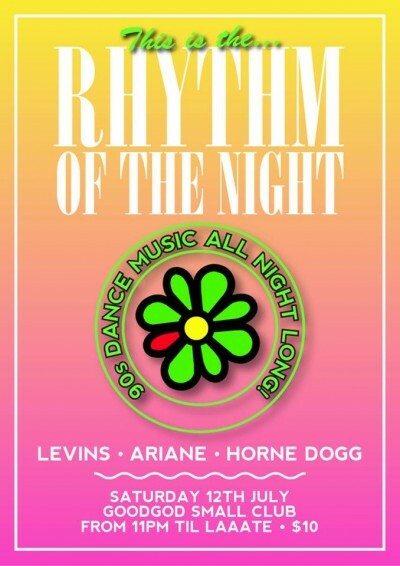 Featuring guest DJs Ariane and Horne Dogg – all playing nothing but the finest 90s dance hits. Get your nostalgic requests in by posting them on the wall! The last Rhythm Of The Night was massive – filling the entire venue with ravers within an hour of opening. July 12 is also going to be The Dip’s last night of trade. So it goes without saying that this night will be BUSY AS HELL. Get it early to join the vibe party!